Steve Burnard (Adobe Solutions Consultant) started the evening by giving us an overview of the subscription options for Creative Cloud. He then introduced the ‘Photoshop Photography Program’ which enables users who have Photoshop CS3 or higher to subscribe and get Photoshop CC, Lightroom 5 and other benefits for £7.14 + VAT / month. Steve then went on to talk about Adobe’s hardware projects and showed a video of the digital ruler ‘Project Napoleon’ (see the video). Finally Steve demonstrated the Vanishing Point and Iris Blur filters in Photoshop CC. Niels Stevens (Adobe Business Development Manager, Video) gave us an overview of video production process, starting from script and finishing with exporting to media and demonstrated us how Adobe applications can make different stages of the process faster and easier. We could see how creating and using of metadata in Prelude as well as integration of Story, Prelude and Premiere helps in working with script and media files. 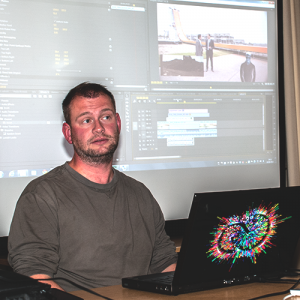 Niels also showed us examples of integration between Premiere and After Effects through dynamic links, how Mercury Playback Engine works in practice, seamlessly rendering different media files formats imported into the same sequence, and he also gave a couple of examples of colour grading inside SpeedGrade. At the end we could watch an overview of Adobe Media Encoder, which offers solutions for exporting media into different formats. Niels and Steve drew the raffle. 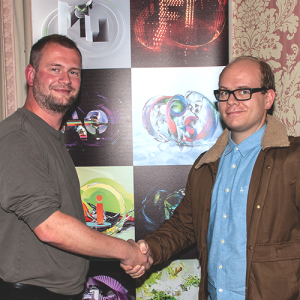 Timothy Robin Parsons won the main prize of one-year’s free subscription to Adobe Creative Cloud. 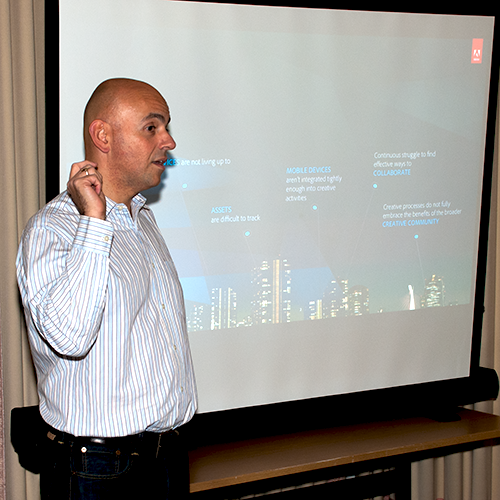 The runners-up prizes of Adobe USB memory sticks were won by Guy Henstock and Roger Gilboy. If you were there, thanks for coming, and see you next month for Matt Gifford, Responsive Web Design and PhoneGap meeting back at the regular venue, Film Oxford, on Thursday 17 October.